No matter if you are a corsetry beginner or a professional - private lessions / mentoring sessions are a quick and fun way to up your skills and dive deeper into the fascinating world of corsetry. One-on-one lessons can be booked as personal experience at the Royal Black studio or as online experience via Skype sessions and will be tailored to your personal experience, skill level and interests. Would you like to get started with corsetmaking, but don’t know where to begin? Are you already experienced, but feel stuck at some point and would like to improve or just fine-tune your existing skills? Are you a professional costume designer or corsetmaker and would like to perfect your skills or have questions about the business side of things? 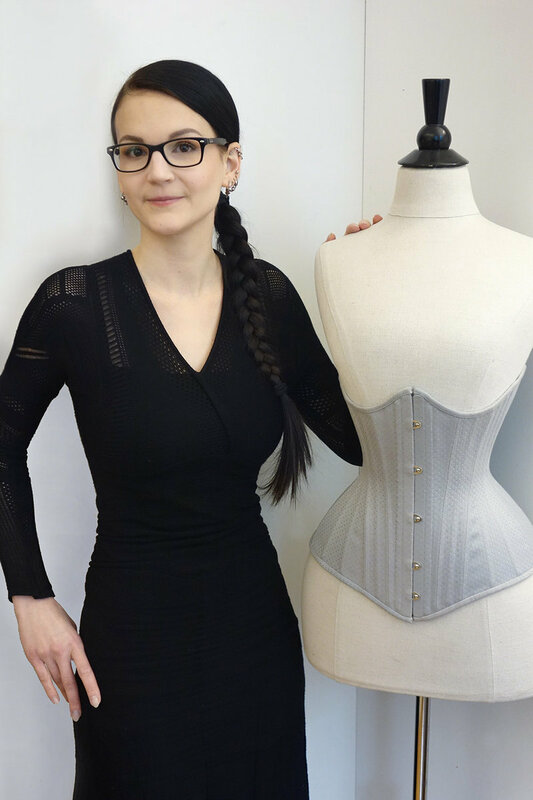 In any case Barbara is happy to guide you towards your goals and share useful tips and tricks from over 15 years of experience in corset and costume design. Private lessons can be booked individually to fit your date requirement.